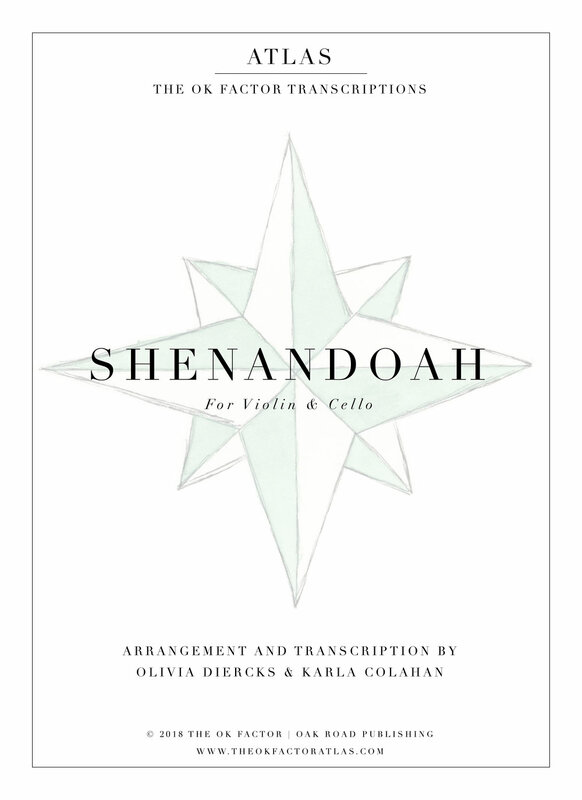 "Shenandoah" is one of our favorite folk melodies of all time, and last year we landed on an arrangement we loved. We are excited to share this tune with you as our first-ever transcription for string duo and quartet! Each transcription includes full score and a set of parts for each individual instrument, as well as a midi file of the score. For a limited time, The OK Factor's new single, "Shenandoah" is included with all purchases.